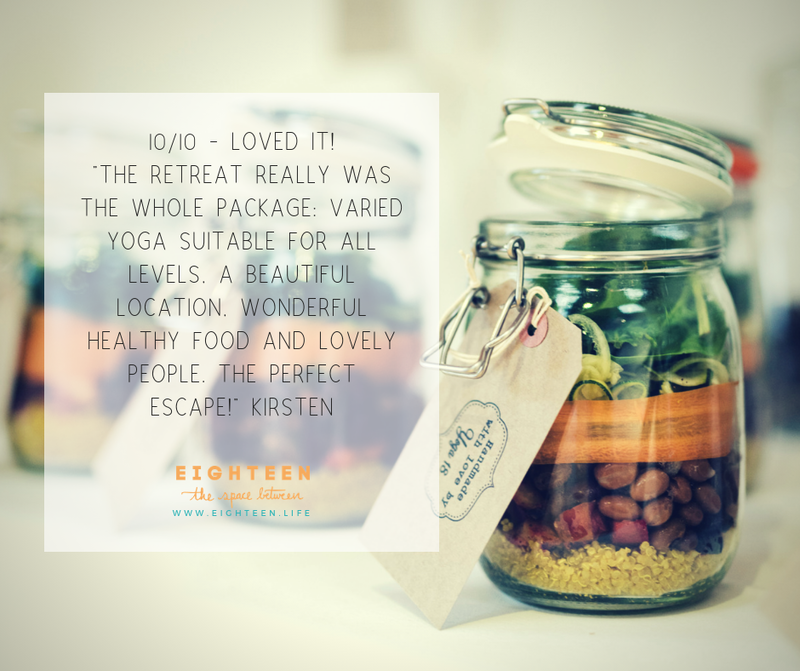 A weekend of total indulgence, filled with yoga, relaxation, good food, friends and laughter. Hidden deep in woodland, you’ll be tucked up in these gorgeous ‘eco-lodges’, allowing you to completely relax and be with nature for the weekend. That's what we're here for after all! Yoga will take place in the lovely converted barn on site, which also has views of the surrounding woodland, providing us with a beautiful and peaceful space to practice yoga in. Mats, blocks and straps will be provided but you're welcome to bring your own too. Expect to feel thoroughly energised and worked with a good mix of sessions across the weekend. 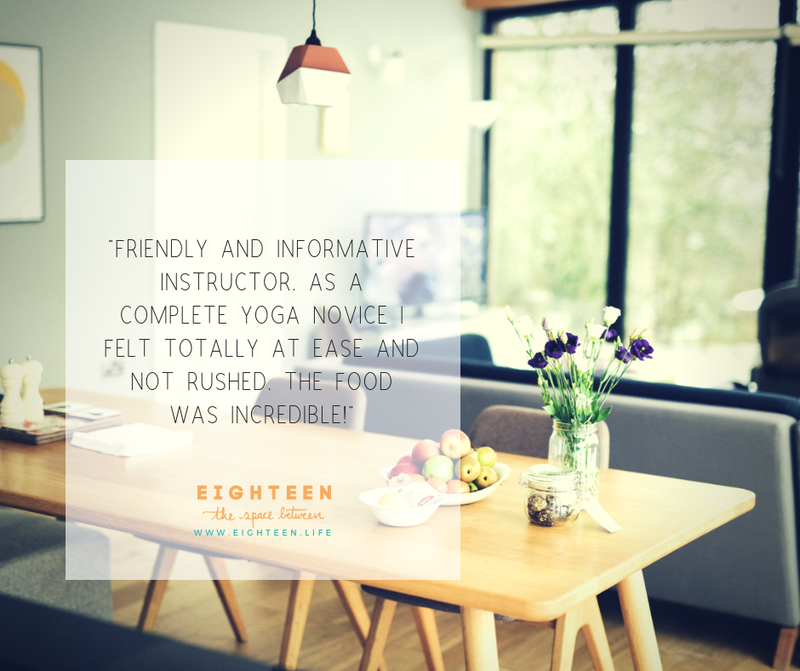 They'll be at least 5 optional yoga sessions across the weekend, including a 2 hour Ashtanga Primary Series class for beginners, a hip-opening class, some breath work, meditation and some well deserved relaxing classes to help you unwind and enjoy a good night's sleep. 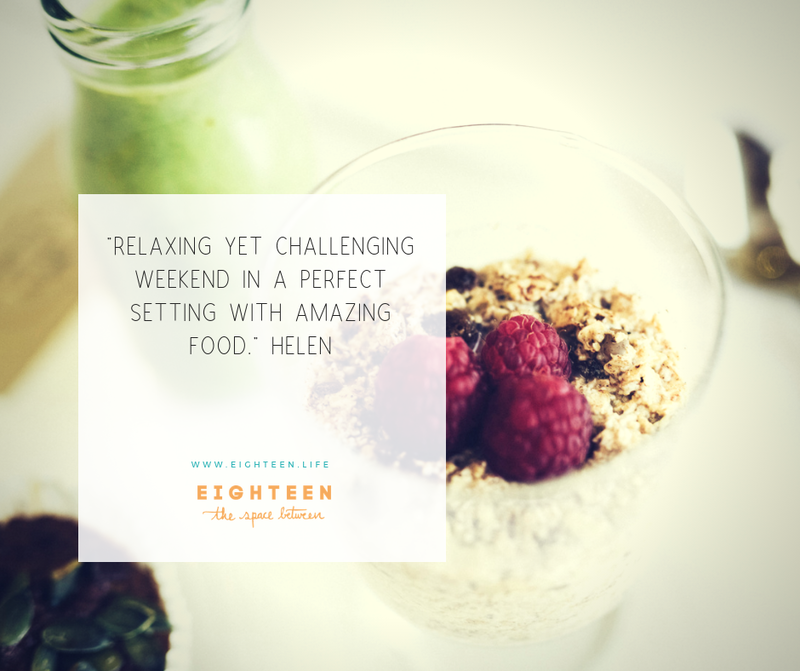 Think yummy smoothies and lots of colourful salads, of raw fruits and vegetables, pulses, beans and grains, that will make your mouth water and your body love you! 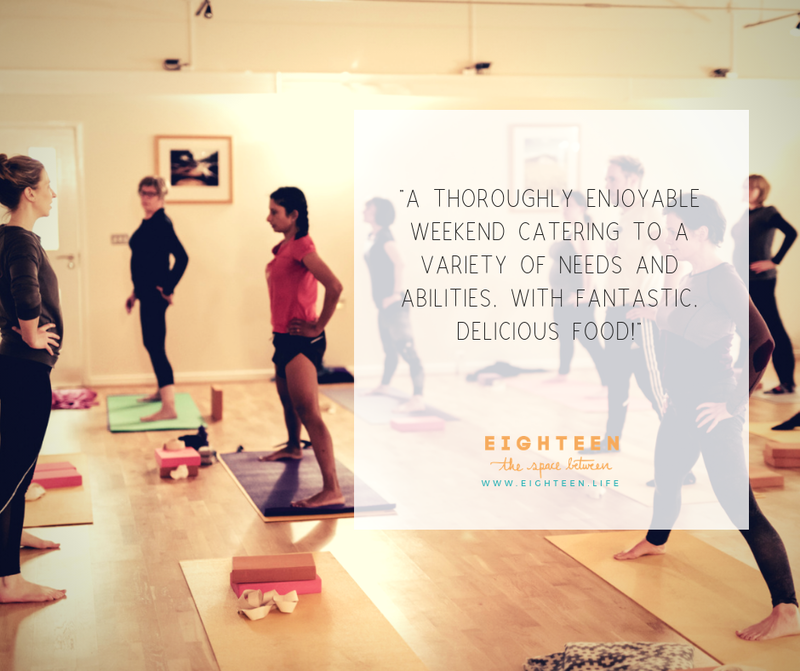 All the food will be supplied for the weekend, including an evening meal on the Friday, with three delicious vegan meals on Saturday and a breakfast and lunch on the Sunday. Meals will comprise of various elements, allowing you to pick and choose in a buffet style, so there should be something for everyone (except meat-lovers!). Delicious fruit teas, water and natural, cold juices will also be supplied throughout the weekend. Please do let us know, upon booking if you have any dietary requirements and we'll try to accommodate as best we can. The food will be vegan, gluten-free and refined sugar-free. There will also be some options for nut-free too but please note that nuts will be prepared in the same kitchen. There is a fully equipped kitchen in each of the lodges and you're welcome to bring you're own snacks, drinks, etc. These sustainably designed eco retreats, sleep up to 6 people, in 3 bedrooms and offer real luxury for your ultimate weekend retreat. Each of the award winning residences are designed to bring in natural light, surrounding woodland and meadows directly into the home, blending the landscape with the interior. 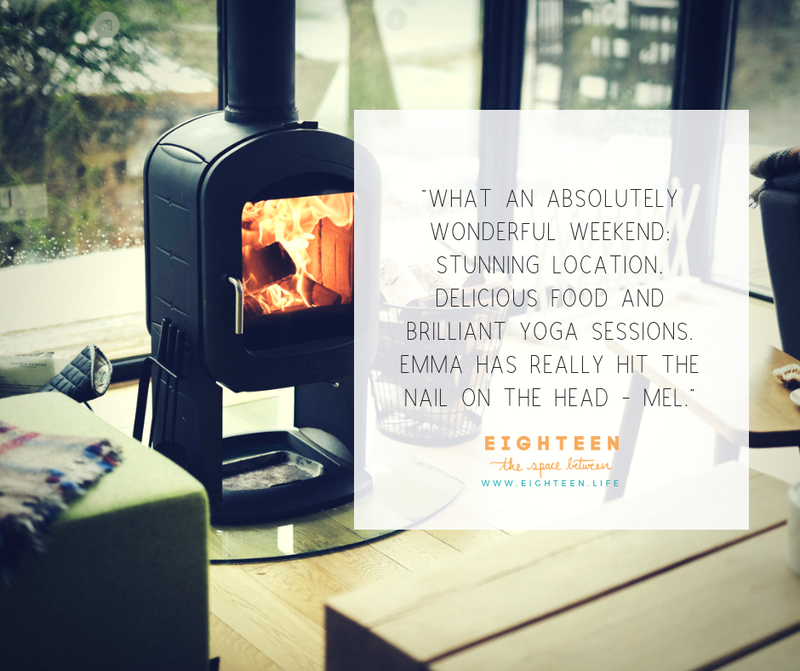 Facilities include a wood burning stove, flat screen TV, DVD and CD Player, along with a coffee machine and hairdryers, as well as a fully kitted kitchen. Spaces are booking up fast already!